Revolving centre with Fixed Bullet :: ToolingBazaar.com - Buy CNC tools and accessories online. Fixed type revolving centre for heavy duty applications. 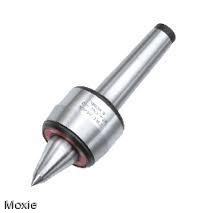 Fixed type revolving centres can be used for long shafts while chattering free machining is required.